With new social determinants of health capabilities, care teams can have a complete patient profile, empowering them to connect the care journey and deliver the personalized experiences that patients expect, the company said. Salesforce Health Cloud’s new capabilities power complete patient profiles, relevant patient communications, and convenient, connected in-home care, the company added. Salesforce is at HIMSS19 in booth 3311. Omni-HealthData Provider Master Edition facilitates and streamlines the process to standardize, manage and maintain complex provider data, the company explained. By simplifying data acquisition, it enables faster data integration so that organizations save time on extract, transform and load processes, the vendor added. “With the new solution, healthcare organizations can achieve a timely, trusted view of provider information across the continuum of practices to support the flexibility needed to navigate changing industry needs,” Information Builders said. Healthcare organizations frequently have to update provider data because of the dynamic relationships among industry players. With a fully pre-built data model that encompasses not only provider and practice data, but also human resources, facility and organizational data, Omni-HealthData Provider Master Edition is designed to improve a healthcare organization’s ability to deliver the highest-quality care, the company contended. The new system is designed to enable organizations to establish and maintain accurate provider information despite the dynamic relationships within the industry, ultimately ensuring better organizational practices and improved patient care, McLaughlin added. Information Builders is at HIMSS19 in booth 4543. Elsewhere at HIMSS19 in data management news, Nyansa today delivered direct integration of Citrix application data into its Voyance network analytics platform with the aim of eliminating performance blind spots inhibiting the efficient delivery of essential healthcare patient services. Voyance has been certified by Citrix to work with both XenApp and XenDesktop as part of the Citrix Ready certification program. 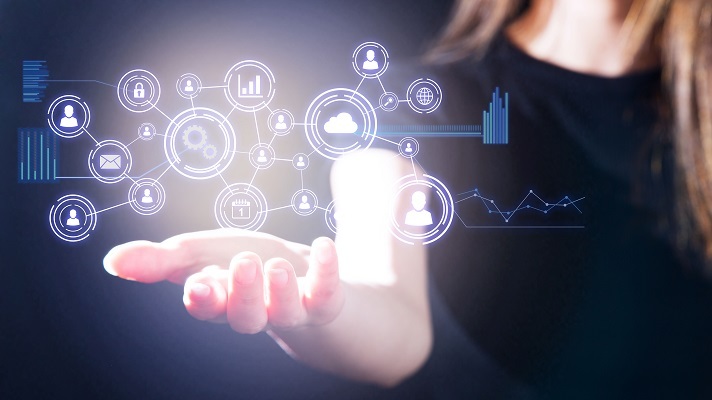 Citrix systems for health IT organizations are designed to enable digital transformation by providing clinicians with instant access to patient information as they roam across facilities, devices and networks, Nyansa said. With advanced integration of Citrix data into Nyansa’s AI-based Voyance analytics platform, IT staff now have the ability to automatically identify the culprit performance problems impacting essential Citrix-based EHR applications, such as Epic and Allscripts, that have become the defacto standard for real-time delivery of patient-centered records to clinical staff, Nyansa said. Detailed Citrix application data is directly collected, analyzed and correlated with all other data sources across the entire network to help IT staff quickly find and fix issues impacting the performance of Citrix applications, Nyansa added. Nyansa is at HIMSS19 in booth 9000.